Selena Ramkeesoon is a seasoned marketing communications strategist with 20 years’ experience developing and implementing award-winning initiatives. As an expert Senior Advisor, she believes in delivering the right message, to the right audience, at the right time. Selena is passionate about advancing health equity and advising leadership teams on omnichannel and content marketing strategies to amplify outreach and awareness campaigns. 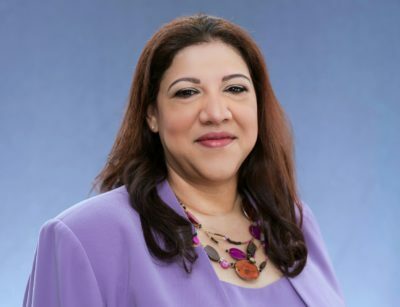 After spending two decades in social marketing working with multimillion-dollar companies, Selena has managed programs in the U.S., Middle East, Africa, India, Southeast Asia, and the Caribbean, and knows how to move audiences to take action. Selena speaks and trains on communications and public relations. Most recently, she presented at the September 2018 Mission Mosquito-Smashfest Global Health Security Forum hosted by the U.S. Department of State. Selena holds an MBA in Marketing and E-Business from Johns Hopkins University, a Master of Library Science degree from the University of Maryland and is a certified Project Management Professional. In spring 2019, she will be graduating with a Doctor of Management degree from the University of Maryland University College.